Mr. Ali GAAYA graduated as a Geologist Engineer, followed by a Masters degree in Geophysics from the French Institute of Petroleum (IFP, France). 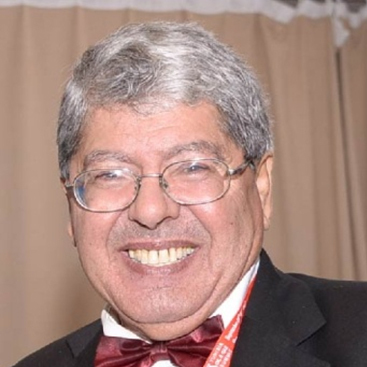 He is a successful and experienced Geoscientist who has been involved with Tunisian and International oil and gas exploration and development projects for over 35 years. His previous employers include Range Petroleum, P.A Resources, ETAP, Total, and SEREPT. He has an extensive experience in a wide range of onshore and offshore basins in North Africa, the North Sea and West Africa, and occupied various technical and managerial positions. Mr. GAAYA was also an Exploration Manager and a key person in the team that successfully contributed to the development of PA Resources in Tunisia, between 2000 & 2007. Through the efforts of the team, P.A Resources has added new assets and reserves to their portfolio, and made a new oil reservoir discovery within the aging Douleb onshore field. Between 1996 and 2000, he worked for ETAP as an Exploration Studies Director, and contributed to a better evaluation of the main Tunisian Geologic Basins and Hydrocarbon Provinces. Mr. GAAYA also worked overseas, as a Senior Geoscientist and Area Leader, for more than 10 years, for the French Major Total in their subsidiaries in Norway, the Netherlands and France. Mr. Ali GAAYA is a member in several National and International Professional Associations and he is also a lecturer at different Engineering schools and Training Institutes and specialized in the E&P of Unconventional Hydrocarbons.